Addison's disease is a condition in which the adrenal glands cannot secrete enough corticosteroid. This disease is the opposite of Cushing's disease. In Cushing's disease, the adrenal glands produce excessive corticosteroids. While Addison's disease in dogs is not as common as Cushing's disease, it still occurs quite frequently in the dog population, especially among young to middle-aged female dogs. Statistically, among dogs with Addison's disease, about 70-85% of them are females between 4 and 7 of age. Breed-wise, it seems that certain breeds are more susceptible to this disease. They include, among others, the Great Danes, Rottweilers, German Shepherds, Wheaten and Airedale Terriers, Westies, Basset Hounds, and Standard Poodles. This is the most common form of Addison's disease in dogs. It is an autoimmune disease in which the immune system attacks the adrenal glands. This causes damage to the glands, making them fail to product sufficient amount of the corticosteroid hormones. Another cause of primary Addison's disease is a tumor of the adrenal gland. Secondary Addison's disease is the result of a lack of adrenocorticotropic hormone (ACTH), whose function is to stimulate the adrenal gland to produce corticosteroids. ACTH is produced by the pituitary gland, which may fail to produce sufficient amount of ACTH due to injury, inflammation, or a pituitary tumor. Just like primary Addison's, atypical Addison's occurs when the adrenal glands fail to work properly. In cases of atypical Addison's, however, the adrenal glands fail to secrete sufficient amount of the glucocorticoid hormones only, whereas the electrolyte balances are usually normal. Unfortunately, the signs and symptoms of Addison's disease are not distinct. As such, many dogs may be suffering from the disease for a while before being positively diagnosed. blood in vomit and/or stools. As you can see, the above symptoms are very common and non-specific, resulting in frequent mis-diagnosis. For example, dogs with Addison's may be misdiagnosed as having IBD, parasite infestations, or infections. In addition, sometimes the symptoms may come and go for a while, making diagnosis all the more difficult. In an episode of "Addisonian crisis", the dog suddenly collapses in shock because his body fails to adjust to an imbalance of electrolytes and fuel metabolism during a period of stress. The result of an Addisonian crisis? Usually the dog will have very low blood sugar (hypoglycemia) and high potassium levels. Hypoglycemia can cause seizures. Also, heart problems such as slow heart rate and arrhythmias (irregular heart beat) may result. In most cases of Addisonian crisis, dogs have elevated BUN and creatinine levels, which may cause vets to misdiagnose the problem as being acute kidney failure. Severe cases of an Addisonian crisis can be fatal to the dog. A definite diagnosis can be made using the ACTH response test. Basically what this test does is to measure the levels of cortisol before and after an injection of a form of the pituitary hormone ACTH. As ACTH stimulates the adrenal gland to produce corticosteroids, the level of cortisol after the injection of ACTH should increase in normal healthy dogs. If both the initial cortisol levels (before and after ACTH injection) are low, the dog is diagnosed as having Addison's disease. To determine which type of Addisons disease the dog has, more tests need to be done to test the electrolytes and endogenous ACTH levels. Atypical Addison's Disease: ACTH response test positive, and electrolytes are normal. Primary Addison's Disease: ACTH response test positive, and endogenous ACTH levels are elevated. Secondary Addison's Disease: ACTH response test positive, and endogenous ACTH levels are low or even undetectable. Conventional treatment for Addisons disease in dogs is hormone replacement. Depending on the type of Addison's disease (primary, secondary, or atypical), one or more drugs are used to replace one or both of the hormones (mineralocorticoids and glucocorticoids) in the dog's body. For primary Addison's, the most commonly used drug is Florinef (fludrocortisone). There is also an injectable medication called DOCP (Percorten V) that is given under the skin every 25 days. This drug works primarily to regulate electrolytes, so in addition to regular injections of Percorten, hormone replacement is required. In cases of secondary or atypical Addison's disease, only glucocorticoid replacement (e.g. Prednisone) is needed. 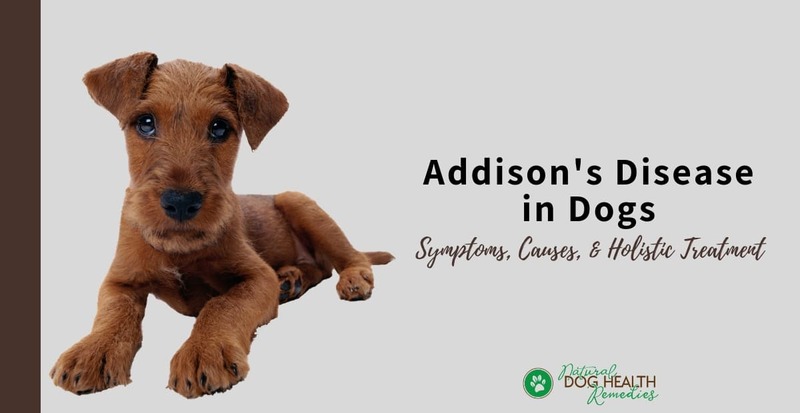 Because stress can worsen the conditions of Addisons disease in dogs, if you have a dog with Addison's, be sure to minimize stress and help your dog manage stress better. This include, for example, increasing the dosage of prednisone when your dog is stressed by illness, injury, or other traumatic events. In addition, think about the extra stress that annual vaccinations and heartworm preventives may put on your dog. Before letting your vet give your dog any annual booster shots, insist on a titer test. Also discuss with your vet whether heartworm preventives should be given to your dog based on where you live (whether mosquitoes are aplenty), and the dog's condition. 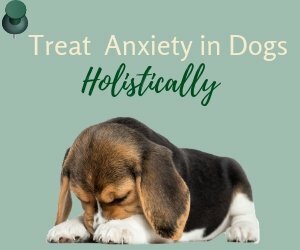 In addition to conventional medication, consider enlisting the help of a holistic vet to get your dog added health support using supplements and herbs. One key natural treatment for Addison's disease in dogs is glandular therapy (GT), which involves using whole animal tissues or extracts of the adrenal gland. GT is used quite often by holistic vets to treat dog patients with autoimmune diseases. In the case of Addison's disease, when the adrenal gland tissues or extracts of the gland is fed to a dog patient, and when these proteins pass through the dog's gut immune tissue, it is thought to desensitize the body's immune response to these proteins. This can calm the body's response to its own similar tissue (in this case, the dog's own adrenal gland). During this process, immune cells are transformed from "attacking" or "inflammatory" cells to "regulatory" cells, which are less reactive. Holistic vets believe that since the modern dogs' diet usually does not contain glandular tissues, dogs are more prone to the development of chronic and autoimmune diseases. They suggest that dogs should be fed home-cooked foods that include glandular tissues such as liver, kidney, and spleen to prevent or minimize the onset of diseases such as Addison's. While natural remedies cannot regenerate the adrenal glands, proper use of supplements and herbs can dramatically slow down the progression of Addison's disease in dogs. The key is to provide suitable nutrients to maintain a healthy body and a strong immune system. Herbs: Nutritious herbs (especially those rich in beneficial minerals and vitamins for the proper functioning of the adrenals) such as dandelion, parsley, spirulina (blue-green algae) and nettle can be fed to a dog with symptoms of Addison's disease. The herb licorice is an adaptogenic herb, which can help the body deal with stress. Other relaxing herbs that may benefit dogs with Addison's disease include oatstraw and Chamomile. Brew a tea of any of these herbs and add it to the dog's food. 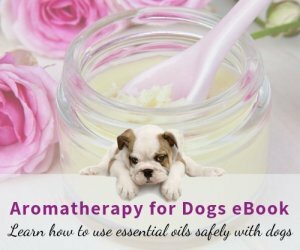 Immune-boosting herbs such as oregano, turmeric, and astragalus are also essential to strengthen the dog's immunity. The herb milk thistle is also helpful as it assists the liver's detoxifying pathways. 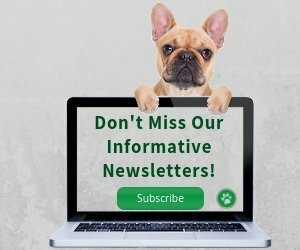 Natural Foods and Supplements: Dogs with Addison's disease can also benefit from essential fatty acids as well as antioxidants such as vitamins C, E and A, and selenium. Vegetables and fruits rich in bioflavinoids (e.g. broccoli, spinach, red bell peppers, blueberries) are also beneficial as they strengthen the dog's metabolism and immune system. This supplement contains herbs (such as garlic, spirulina, alfalfa, burdock, dandelion) as well as EFA-rich flaxseed, vitamins and minerals which are all beneficial for strengthening a dog's adrenal functions, immune system, and overall general health.